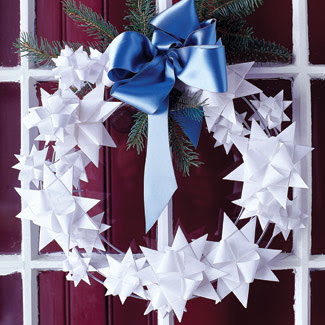 No books were harmed in the making of this post, however, not sure I can say the same for the making of this wreath. While librarians may want to avert their eyes, I loved the soft ruffles of this wreath made entirely of a used book. 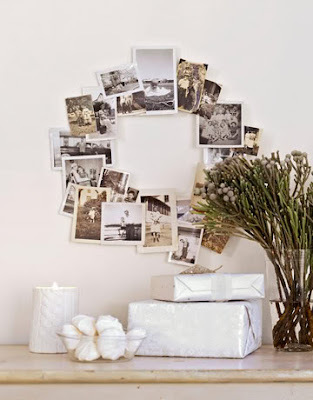 Perhaps my favourite option of all - a lovely wreath fashioned from old family photographs. What a lovely sentimental touch - perhaps use photos of past holiday memories, or even of loved ones who are far away. 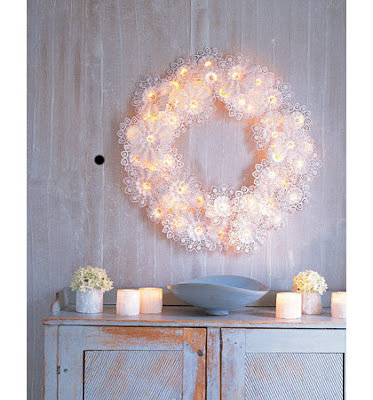 Just the prettiest thing - this lacy little wreath made of paper doilies and little white lights simple glows. The perfect welcome on a cold, white night. I'm curious - how have you decorated for the holidays? That book wreath is stunning. I may have to harm a few books to make one of my own. I immediately loved the photo wreath, then went on to read that you did too :) I'm glad you made one yourself, will you post us a picture? Oh... I love the first one. Lovely. These are all so pretty, such different ideas, love the photo wreath and doily one! I adore these looks! Especially for first one for it's ruffly effect. This holiday season I have been trying to get creative with wreathes and try new things. This is definitely inspirational! 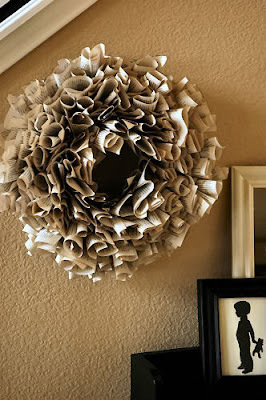 I really do love the book wreath... although I'm sure the same effect could be achieved from old newspapers... without sacrificing a beloved book. You're very creative and clever! Love your wreath, as well as the first and last in your gallery. Thanks for sharing - I feel inspired! Oh, I love the very first one! It has such a girly-chic look to it.